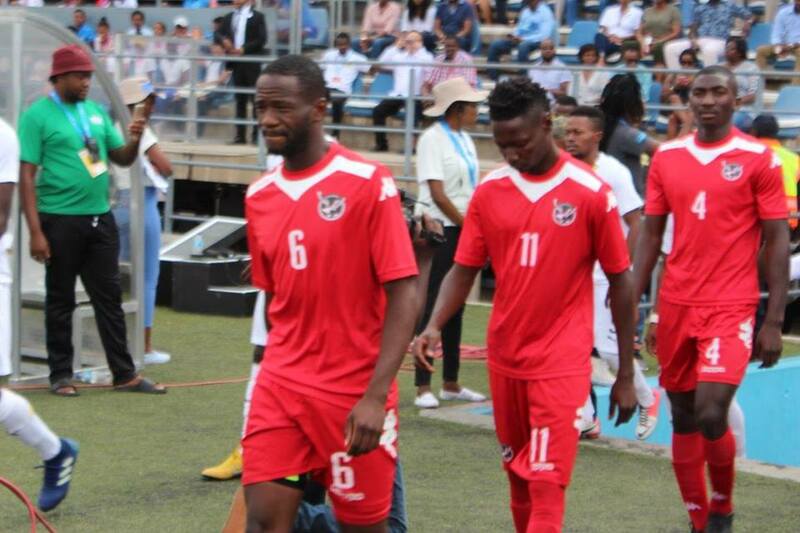 THE Brave Warriors will have to prepare for its final AFCON qualifier game in Zambia next month without defenders Larry Horaeb and Chris Katjiukua after both players were suspended for accumulating enough yellow cards to prevent them from taking part in the team’s final match. 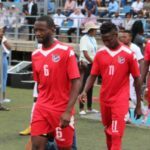 Information emerged that defenders Horaeb of Tura Magic and Katjiukua of Highlands Park in South Africa are not eligible to play, leaving Brave Warriors Head Coach, Ricardo Mannetti, very little time to prepare his Warriors for the 23 March clash in Lusaka against Zambia and as he finalises his training squad. “These two key players for us over the last few years will not be available as they have accumulated enough yellow cards to keep them out of the final Group match in Zambia. It is a big blow but life goes on,” explained Mannetti. Mannetti stated that he is not worried about their absence as he has options. “We have built this team for over five years and we have capable players that can fit in. Denzil (Haoseb) has proven with his versatility to play in midfield and defence. We have Teberius (Lombard) who has also done well in that position. Charles (Hambira) has come of age and was tested at CHAN last year. Emilio Martin is another option for us. There is a lot depth in the team when it comes to that position indeed,” said Mannetti. The coach further added that they are working on their tactics before they make a final decision on call ups and come match day, the mission will remain the same. “We want to qualify. We have to qualify and we will treat the game as any other with of course special attention as it will be the last game and we need to do well and reach the finals. We have come a long way and the only way to finish this off in style will be with qualification to AFCON finals,” Mannetti added. Guinea Bissau and Namibia are currently top of Group K on eight points each, with Mozambique in third place on seven points. Zambia is on four points, and is already out of the race to qualify for the Egypt AFCON 2019. The group winner and the runner-up will qualify for the 32nd edition of the Total African Cup of Nations to be played in Egypt from 21 June to 19 July 2019.